"David and Wendy has a great knowledge and understanding of the market. I recommended to few friends and they were impressed by the dedication responsiveness." "Wendy and David were on top of every detail during all phases of our home search. This was very important to us especially because we were from out of state. Because of David's attention to details, we found our dream home! We also had the pleasure of meeting Wendy. They are a fantastic team and I would recommend their services to anyone who is looking to purchase a home. They are hard working and dedicated. I appreciate that David continues to communicate with us even after the sale of the home was completed." 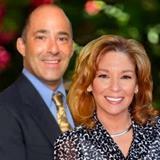 "David and Wendy Leventhal are caring listeners, appropriately forthright negotiator, exhibits interested in your personal needs and limitations, and meticulously ensures accuracy in all paperwork. I have used David's services for the past three years with the purchasing of property, discussing refinancing, as well as the selling of my present home and purchasing of a new one." "I’ve worked with David and Wendy since 2005. David maintains exceptional knowledge of the area and stays in tune with market trends. He also is one tough negotiator for his customers, doing what it takes to get the deal done. He is truly a full steam ahead realtor"